Quantifiable data was released recently on this topic at the March annual meeting of the Technology & Maintenance Council. A benchmarking study conducted by FleetNet shows that the average number of miles between unscheduled repairs decreased in the fourth quarter of 2018 by 3 percent compared to the fourth quarter of 2017 – from 11,007 miles in 2017 to 10,663 miles for the same period in 2018. The average cost of roadside repairs, excluding tires, increased to $334 in the fourth quarter of 2018, compared to $317 in the third quarter and $299 in the second quarter of 2018. However, one unnamed fleet wowed executives of TMC and FleetNet by turning in a very impressive record in the Truckload Vertical Benchmarking Study of 75,528 miles between breakdowns. "This is a clear indication that fleets can reduce their roadside repairs, driving down costs and improving customer service," said Jim Buell, executive vice president of sales and marketing for FleetNet America. "If one fleet can run 75,000 miles between breakdowns, why can't all fleets in the industry? It's a matter of using data to direct where you have the best opportunities to improve." 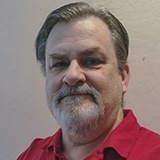 Buell said participating carriers can use the results of the benchmarking program to identify areas where they can improve their regular maintenance in order to keep their emergency roadside repair costs down, because the average cost of a roadside repair is four times the cost of a shop repair. Just five categories of repair – tires, lighting systems, brakes, cooling systems and wheel-end components -- accounted for 63 percent of all roadside repairs during the study period of the fourth quarter of 2018. 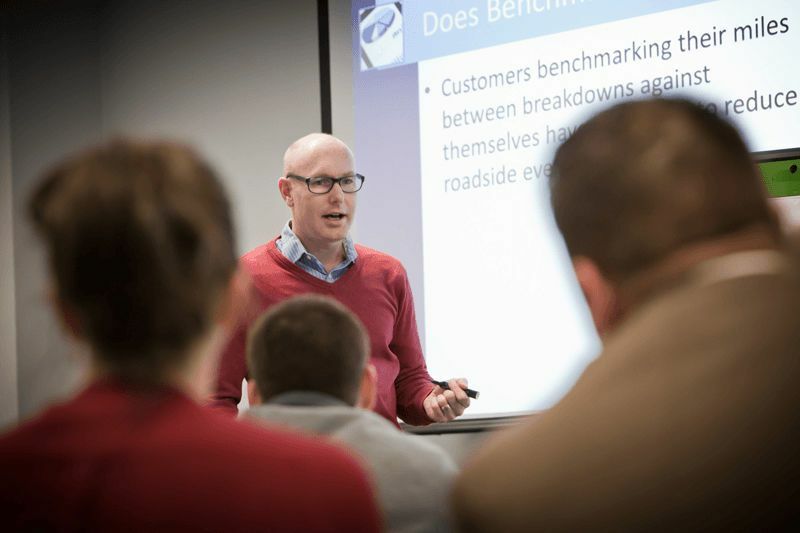 Participant carriers can use the benchmarking program to compare their roadside repair performance to other carriers in the program, even to the granular level of individual categories of repair. An executive summary of the benchmarking data is available to TMC fleet members. But a deeper look into the data is available to participating carriers in the program. They receive tools that allows them to analyze their own performance compared to others in the industry. Interested trucking company executives can get more information about the TMC/FleetNet Verticle Benchmarking Program at http://benchmarkit.fleetnetamerica.com. Currently, the benchmarking study only surveys truckload data, but Buell said he hopes to add less-than-truckload and tankers to the program later in 2019. FleetNet America says that there are four components that commonly lead to needing roadside repairs. Tires account for more than half of all roadside repairs. Prevention can include such simple pre-trip routines as checking for under inflation, low tread depth and misaligned axles. Brake-related issues account for 29 percent of semi-truck accidents, according to the FMCSA. They are vulnerable to a lot of factors including heat, pressure and friction and can wear down without proper maintenance. In addition, brake system failures can be caused by air leaks, corrosion and wear, and water contamination or freezing in the air lines. Electrical Systems need periodic maintenance. Signs of component failures can include corroded battery connections, dead batteries, dim or flickering lights, and any kind of strong or unusual odors. Refrigerated trailers are in the top five of roadside repairs and require regular monitoring and maintenance in order to protect the freight from damage.